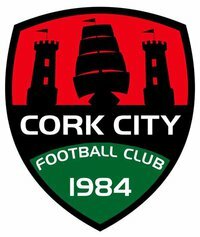 Cork City will return to Champions League action for the first time since the 2006/07 season when they welcome Polish Champions Legia Warsaw to Turner’s Cross tonight. City lie second in the SSE Airtricity League, 4 points off leader Dundalk, and come into this game on the back of a 0-0 draw with Shamrock Rovers on Friday night which sees City remain unbeaten at Turner’s Cross this season. 13 time Ekstraklasa winners, Legia Warsaw, are yet to kick off their season in Poland but come into the game in great form having played 4 friendlies, winning three and drawing one, scoring 13 goals in the process. This will be the first time these two sides have met in any European competition. “They (Legia) are a formidable outfit, it’s fantastic for a club like us to go and play a club like Legia who are a massive club. It’s an honour for us to play them. They are the biggest club this club has played since Bayern Munich. “I’m absolutely delighted to be leading City out as captain on a Champions League night. As a player you want be playing in these big games and we are really looking forward to this game as a team. Garry Buckley, Mark McNulty, Colm Horgan, Alan Bennett, Graham Cummins and Steven Beattie have all had knocks and are being assessed ahead of the game. Radu Petrescu of Romania will take charge of the game tomorrow night.